Careful tests in many parts of the country indicate that many discharged Delco Batteries are being returned to U .M.S. Accounts as being defective under the 90-day or 4,000 miles warranty. This practice is not only very expensive, but it also constitutes a decided waste of materials that are very hard to replace under present day regulations. In order to correct this practice, United Motors Service has instructed their battery accounts to return to the U .M.S. Zone Office all Delco Batteries removed from service during the 90-day or 4,000 miles warranty period. Such batteries, when received at the U .M.S. Zone Office, will be carefully inspected for visual damage and an attempt will be made to charge each battery. If the battery accepts a charge and comes up to capacity it will be tested very carefully to determine its fitness for further service. Should the battery pass these rigid tests it will be returned to the account, transportation charges collect. In the meantime, the U .M.S. Account will not issue credit on the battery until its condition is determined by the U .M.S. Zone warehouse. You are requested to cooperate with United Motors Service Accounts by having the necessary equipment to slow charge and properly test batteries for owners, and to make certain the battery is actually defective rather than merely discharged, before application is made for replacement under warranty. 80°. It is recommended that new car batteries be checked at time of new car make ready and slow-charged if necessary to assure that the new owner will not be bothered with an unnecessary road failure due to an undercharged battery. Approximately March 20th, all series engines were equipped in production with a new type distributor rotor. This rotor, shown in Figure 33, has a “built in” 10,000 ohm resistor that eliminates the necessity for a suppressor equipped high tension wire on radio jobs. *Same as formerly used on jobs without radio. 1951 Product Schools, please be advised that the correct dimension is 3/16″ plus or minus 1/32″.) The method of checking is essentially the same as described in paragraph 10-39 (c) of the 1950 Shop Manual; however, adjustment is obtained by loosening the solenoid mounting screws and moving the solenoid as required. Solenoid switch and relay test specifications are slightly different from 1950 specifications. 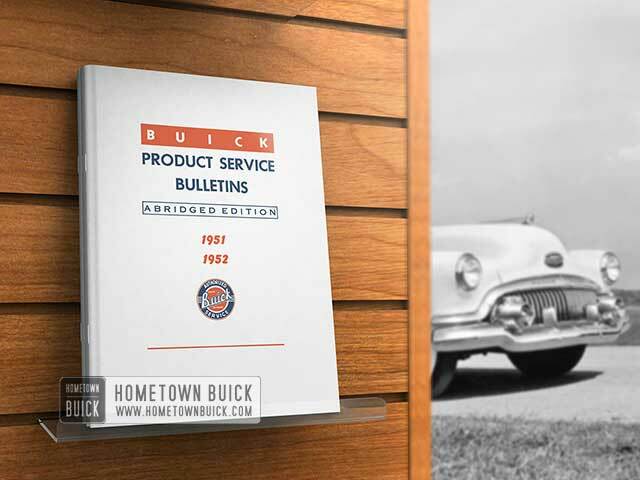 These will be included in the 1951 Shop Manual. Use a variable rheostat of at least 10 ohms resistance and a capacity of 2 amperes. (The Ohmite Rheostat Model ”J” – 50 watt Stock No. 0314, 12 ohms 2.04 Max. Amps., made by Ohmite Manufacturing Company, is satisfactory. This rheostat is available at most electrical supply stores.) Connect the center lead, which comes from the rotating arm of the rheostat, to relay terminal No. (4). Connect the lead from one end of the rheostat to relay terminal No. (1), and the lead from the other end to one of the relay mounting bolts. Connect the leads of an accurate low reading voltmeter to terminals marked (3) and (4) of the relay. Turn rheostat until voltmeter reads zero, then slowly turn to increase voltage watching voltmeter. Note voltmeter reading at instant that test light goes on. This is the relay closing voltage and should be between 1.5 and 2.0 volts. Continue to slowly turn rheostat to increase voltage. 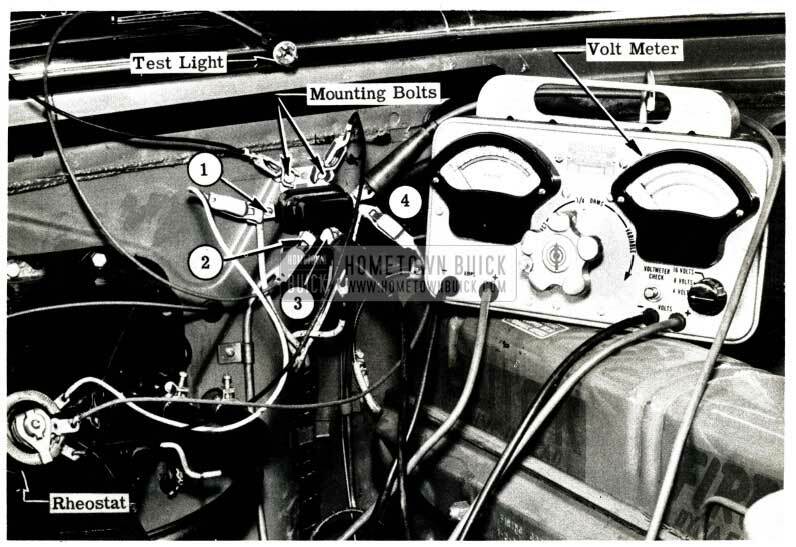 Note voltmeter reading when a click is heard. This is the sealing voltage and should not be more than 0.1 volt above the closing voltage. Quickly turn rheostat until voltmeter reads 6 volts, which is applied to the relay to fully saturate the magnet core. As quickly as possible turn rheostat to decrease voltmeter reading. Voltmeter reading should be .35 volts minimum at instant that relay points open when test light goes out. 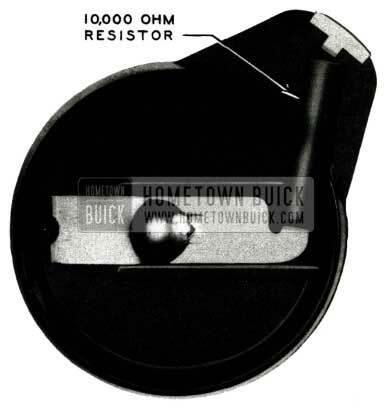 If relay does not operate within the voltage limits specified, it may be adjusted as per instructions in paragraph 10-48 in the 1951 Shop Manual. If relay being checked is old type, it should be replaced with new type, having a 1/4″ vertical line stamped on the mounting bracket. In BPS 2.295 dated March 15, 1951, Page 56, you were instructed to replace with complete new starting motors any motors damaged as the result of sticking relays. In the future please disregard these instructions and replace only the damaged parts. The necessary new parts may be obtained from the factory warehouse. The damaged parts may then be returned to your Zone M. R. Room for credit. Supplements Sec.10-A, Para.10-3 (a), 1951 Shop Manual. In order to conserve critical material, an optional cranking motor is now being used on all Series 40 and 50 cars. This motor, which carries Part No. 1107110, will not be available for service until stocks of the former motor are completely exhausted. The Parts Department will, however, furnish the field coils and end frame. These parts are listed in Supplement No. 6 to the 1951Chassis and Body Parts Book, dated September 1, 1951. Approximately August 9th, a change will be made in the 1951 production generator assembly in order to conserve copper. This will result in less generator output at low car speeds, which will be partially compensated for by use of smaller 2 7/8″ diameter generator pulley. The new generator will be identified during the first six weeks production (other than by part number) by a green tag on the field terminal. At the end of this period, the red tag will again be used but it can be assumed that all generators produced after original usage of the green tag are the new type. A new voltage and current regulator will be used in conjunction with the new generator in order to provide a different current regulator setting. In addition to part number, the new regulator can be identified by omission of the usual yellow dye on the upper mounting bracket. The new generator and regulator must be used together. No interchanging of new and past type generators and regulators should be attempted in service. Air gaps and point openings remain unchanged. Amps. Motoring Freely @ 6 volts and 850 RPM min. : 6.8 Approx. NOTE: With brushes seated and bearings run in.